A total of 24 tornadoes were reported in seven states: Tennessee, Mississippi, Illinois, Indiana, Alabama, Arkansas and Michigan. 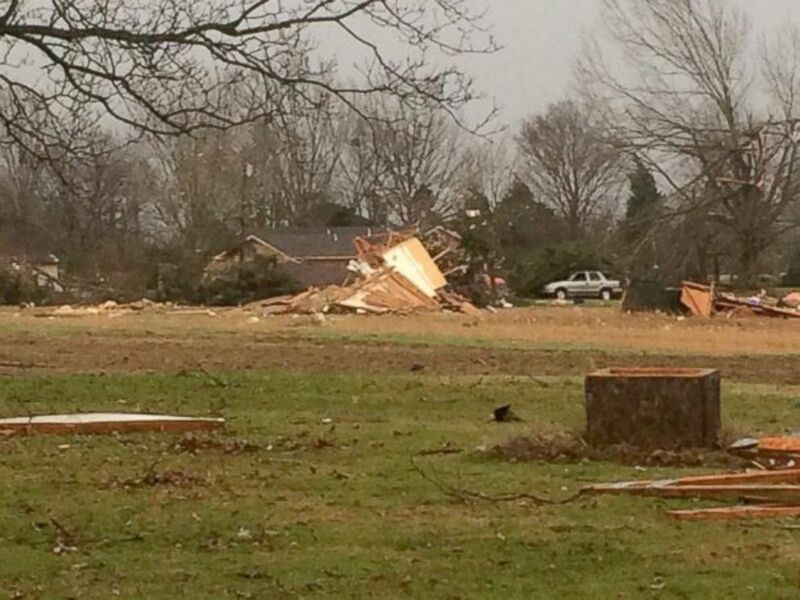 10 people were killed in Mississippi, Tennessee and Arkansas as storms spawned rare Christmas tornadoes. 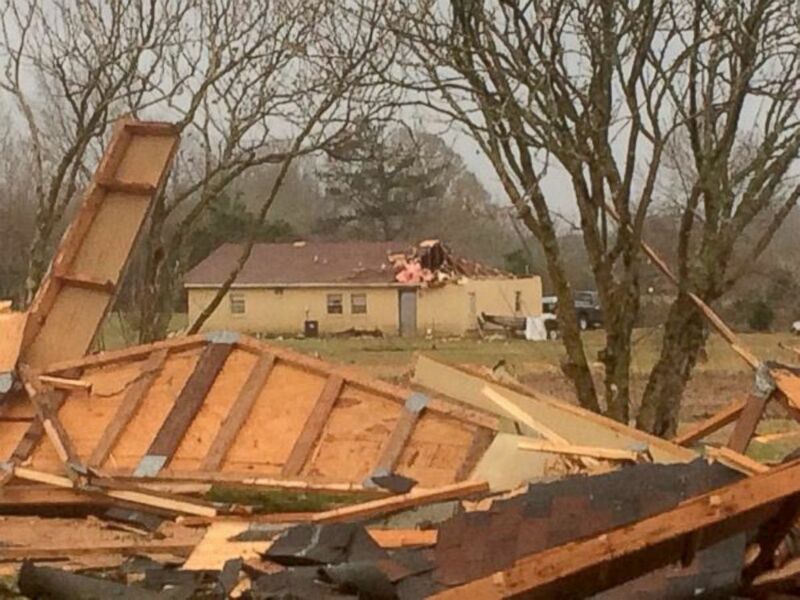 A large tornado tore a 100-mile path through northern Mississippi, demolishing or heavily damaging dozens of homes and other buildings in a six-county area before plowing into western Tennessee. Officials blamed the severe weather for injuring scores of others Wednesday and destroying dozens of cars, homes and businesses. In the worst-hit communities, search parties hunted for missing people and volunteers helped clear debris on a day often reserved for gift wrapping and last-minute shopping. Unseasonably warm weather is the main cause. The National Weather Service forecast isolated severe thunderstorms from the mid-Atlantic region to the Gulf Coast and record warmth to New York. “To have long-track tornadoes in December in the Memphis forecast area is an unusual event,” said Jonathan Howell, a meteorologist in the NWS Memphis office. "We typically don't have tornadoes of that intensity that impact the area, but we're dealing with this unusally warm weather pattern." The line of storms are moving east today (Thursday) and will bring heavy rain and thunderstorms to Georgia, Florida, Virginia, and the Carolinas. The threat of severe weather just before Christmas is unusual, but not unprecedented, said Greg Carbin, a meteorologist at the national Storm Prediction Center. 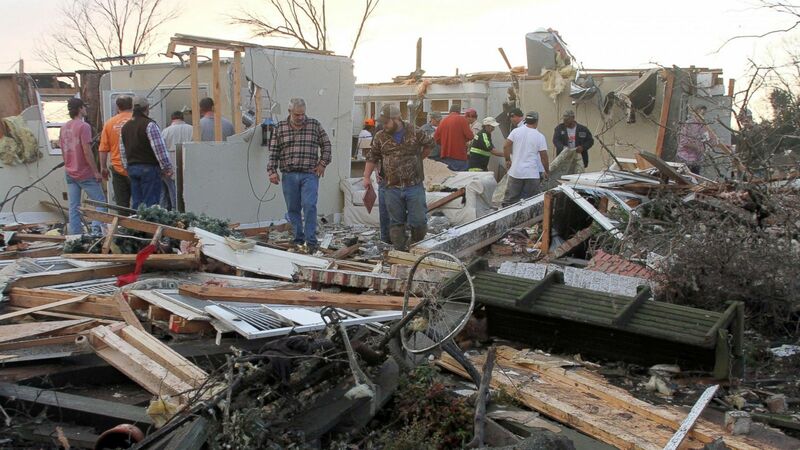 Exactly a year ago, twisters hit southeast Mississippi, killing five people and injuring dozens of others.